If you think the control panel industry is pretty staid, then you haven’t been paying attention. New technology is changing the way we do things at UCEC. In the past two years, we’ve added a high-tech CNC machine; new wire cutting and stripping technology; and upgraded our engraving capabilities, just to a name a few initiatives. Adding new technology allows UCEC to be more efficient with both our employees’ time and our panel projects, which means we craft panels faster and more consistently for our clients. Even though we enjoy this new tech, one thing about UCEC will never change. People still run this place. People are the ones who build and wire the panels. They get the projects done. Although processes and paperwork have their places, we don’t rely on those systems to build and create. People do the work, and always will. A recent Guardian story stated two Oxford university economists predict 40 percent of all jobs will be taken over by computers in the next two decades. While the robots may rise and come for the other jobs, they won’t change things up at UCEC because our people are at the heart of panel building. Employees are innovators that machines can’t match. Recently, one of our clients brought us a type of panel to build that we couldn’t resist. 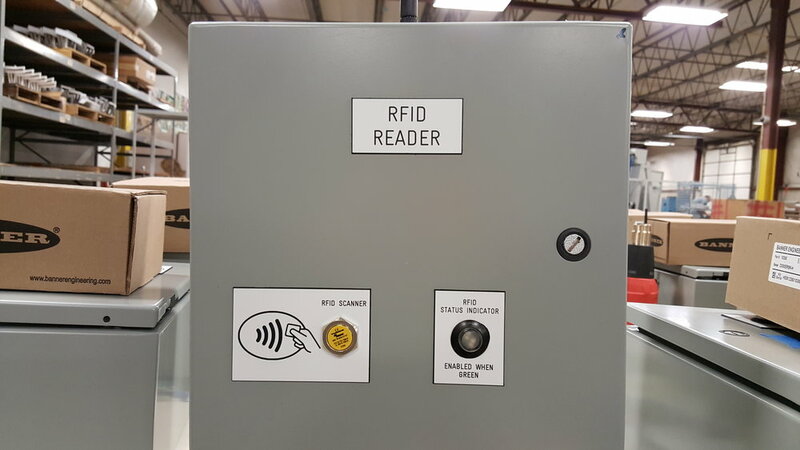 It was an RFID-enabled panel that was designed to control some powerful machines in the client’s machine shop. These machines are powerful, so for safety reasons, if you don’t have the proper RFID credentials, you can’t turn on the machine. The technology allows for a log of who used the machine; length of time; and other important safety data. Since we’re a people company, when we heard about the project, we said “Let’s figure it out!” And we did. We’ve learned to be flexible; to embrace new technology; and to use our creative minds to figure out problems with the help of talented vendors and clients. Seasons change and people change, too. But in those seasons, the people here at UCEC have a dedication that will never go away.